So, you’re probably heading out on a flight fairly soon, right? You most likely have everything planned out once you get to your destination, but what about on the way to the airport or on that magical air-compressed vessel we call an airplane? I’m talking strictly from a nutrition and food standpoint, here…..what do you usually bring? Obviously, no one wants to lose those nutrition gains, but airport food can be atrocious. Candy bars, processed foods high in carbs and artificial sugars….a lot of people tend to overlook this part because they might be running late and just resort to grabbing whatever food they can at the airport (or they want to get in on that lounge access their credit card offers - you know who you are) but there can be a much better, effective option if you just plan ahead! Airport food? Nah, I’m good. You generally want to cover your proteins, fats, and carbs as to try do your best and keep the balanced meals going even when you’re traveling on a plane, but you don’t want airplane food because ain’t nobody got room for all that added sugar and sodium! Yes, it’s healthier than it used to be but there are still tons of added stuff involved in those meals that our body just simply doesn’t need. “But it comes with the flight…” - YES, but at what cost to your body!? Let’s also remember that food gives us energy, whole foods last longer because they’re complex carbs and takes longer to digest which keeps you full. We then have processed, refined foods that don’t last as long because the nutrients and minerals have basically been stripped so it gets digested quicker than we’d like. Next thing you know, we’re hangry 30 minutes after eating that cookie dough “protein” bar. Granted, 1 or 2 days (depending on your flight time in the air) won’t change your whole routine but for people that want to feel less crappy when they get off a plane/train/bus/car/magic carpet, anyway….let’s talk about some of the general travel-friendly foods. Keep in mind all whole foods are allowed since they are not liquids so you could bring a bag of sweet potatoes if your heart desires but I wouldn’t recommend it. Now, while I would love to go over every single one, I’m only going to cover what I see as the most convenient and easiest while also carrying nutritional content and will most likely satisfy an appetite. Here we have a nice combination of fruits or dried fruits mixed in with nuts and seeds. I like this because you can just take a small container, throw in a preferable combination of what you like then put it in your carry on or checked bag. I really like to do a conservative handful or 2 of almonds, a little bit of pumpkin seeds aka pepitas, sunflower seeds, shredded coconut, cranberries or golden raisins. It’s a great way to keep those nutrition gains even while traveling. 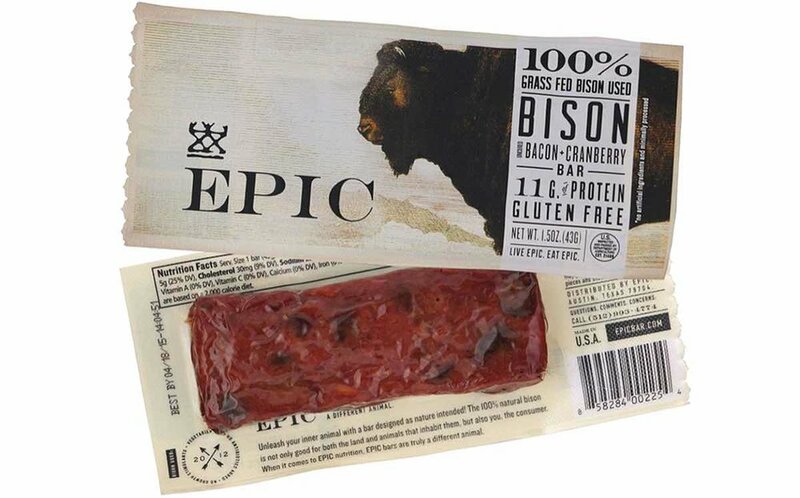 I’m a big fan of Epic bars, they truly are a company that advocates eating clean. This is perfect if you don’t mind jerky, there are 8 flavors to choose from, my favorite is chicken sriracha with venison in a close second! It’s got a great amount of protein, minimal carbs, and some fat so you’ll be full for a bit after having this. However, if you’ve got a little bit of a sweet tooth, let’s move on to the next one! Epic Performance bars and Rx bars are for people with a sweet tooth or generally want more flavor options out of a bar. The Epic Performance bars have 4 flavors: Peanut Butter, Peanut Butter Chocolate, Almond Butter Chocolate and Lemon for the lemon lovers out there! (myself included). 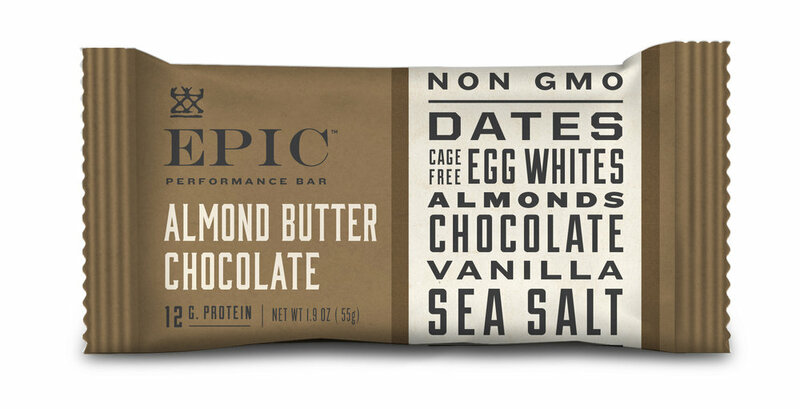 The difference between Epic Performance bars and Rx bars is simply that epic bars make their bars with pasture-raised eggs instead of regular eggs as Rx bars do. The texture of the bars is really a personal preference but regardless, it’s still worth trying. If you can get past the eggs part, Rx bars has many flavors, it honestly feels like they come out with a new flavor every other day, as of now, their website shows 20 flavors including their Rx kids bar which is really just a smaller Rx bar for people that get full easily… and for kids. Kind bars have really stepped their game up with these bars, not to be confused with the regular kind bars. The ingredients are short, you know exactly what you’re getting and it’s cold pressed which means that it goes through a minimal process so that the nutrients and vitamins of the fruits are still available for your body to extract from it once you take it in. This is usually the problem with a lot of other bars since the essential benefits are lost during the processing of the bars so they can have a longer shelf life in supermarkets or convenience stores which makes this a personal travel nutrition favorite. Rx bar recently in the last year or so came out with a delicious line of nut butter and they do not disappoint! They have 1.13 oz packets which make it very easy to take anywhere and everywhere in your pocket or bag even through TSA. They have 6 flavors from vanilla almond butter, plain almond butter to honey cinnamon peanut butter and chocolate peanut butter (whaaaaaaattttt) These are perfectly fine on their own or even added to bread to make a tasty nut butter sandwich, yummy. FFF is an all-around great snack option for anything and anywhere, except for on a plane (wah wah wahhhhhh). Due to the TSA 3.4 ounce liquid rule, the Fuel for Fire pouches are technically not allowed at 4.5 ounces (so close). However, it’s a great way to start the day as a great protein and carb based snack with nutrients you need, they also have a coffee flavor that is insanely delicious. You can have this on the way to the airport or include in your checked baggage to have once you get to your destination. Want to talk more with Al about a healthy diet? Shoot him and email him or check him out on Instragram. If you’d like to be a guest blogger, let us know!